Tiger Woods finds himself in contention at the Masters, but he’ll have to conjure up some magic he’s never done before. 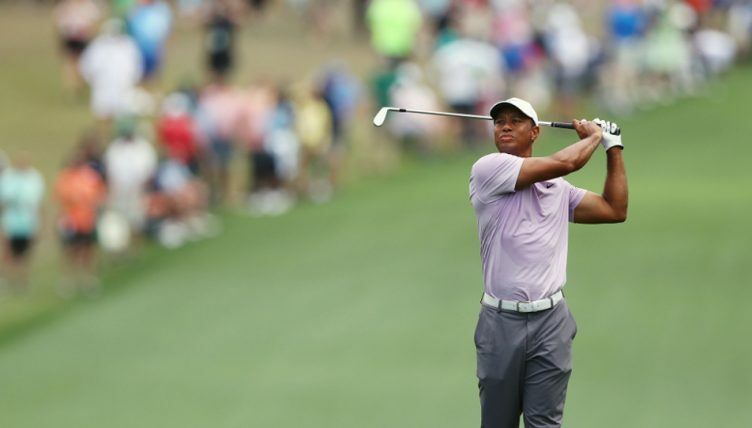 The former world number one is two shots behind leader Francesco Molinari as the opening major of the year heads into the final round at Augusta. But despite his 14 major championships, Woods has never come from behind to emerge victorious in golf’s most prestigious tournaments. Nonetheless, Woods is happy to be in the mix on Masters Sunday, a dream come true following years of injury. “It’s been a while since I’ve been in contention here,” the 43-year-old told the press. “But then again, the last two Majors counts for something. I’ve been in the mix with a chance to win major championships in the last two years and so that helps. I’m just thankful to be able to come back here and play again. “I don’t need to go after every single flag, just put the ball in the correct spots so I can have gettable looks and gettable putts. In terms of his round on Saturday, he started on the back foot with a bogey five on the fifth thanks to an errant drive. That left him five strokes behind then-leader Tony Finau, but a run of gains saw Woods quickly make up ground. Amongst the birdies was a superb iron into the par three 16th that featured a tricky pin placement, but he stuck it to seven feet. “I drove it well and hit my irons well,” Woods said of his round.